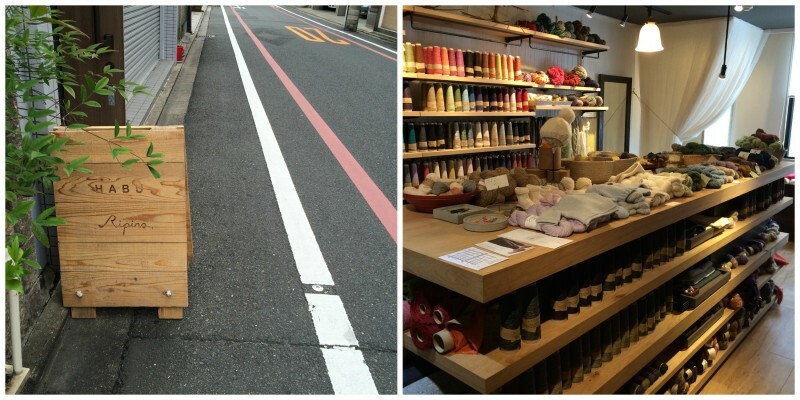 Fabric and yarn shopping in Japan is the bee’s knees! There is such a wide range of unique fabric, yarns and notions available, and the attention to detail is spectacular. Regular readers will already have followed my exploits in Tokyo (part 1, part 2) and Kyoto, but I thought that I would gather all the info on the best shops, how to get there, and some maps, all into one post. Hopefully other travelers to Japan will find it useful! 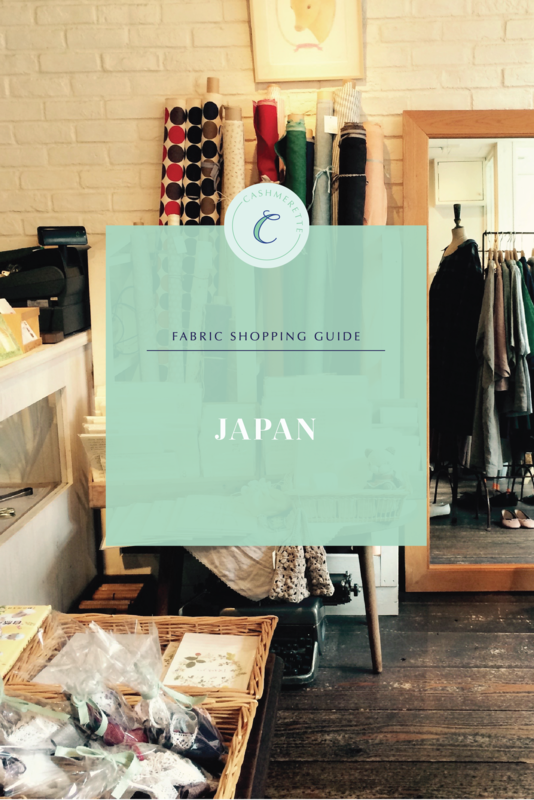 So here’s the Cashmerette Guide to Fabric and Yarn Shopping in Japan. Can’t make it to Japan? Then I totally recommend checking out Miss Matatabi – it’s an awesome English-language Japanese fabric store that ships really quickly worldwide! Japanese stores open on the late side: the earliest at about 10am, but many don’t open until 11am or 12pm. Check first before you head out to shop! Some stores are cash only, so make sure you have enough on you. Many Japanese ATMs don’t accept foreign cards, but all 7-11 ATMs do. Tax-free discounts are available for foreigners in some stores if you spend over Yen 10,001. You’ll need your passport to get the discount. Some stores pro-actively offer (like Nomura Tailor in Kyoto), but others you’ll need to ask. Fabric is sold by the metre. There is variation as to the minimum cut length, ranging from 10 cm to one metre pieces. Nippori Town The largest concentration of fabric stores in Tokyo is in Nippori Town, north-east of the city center. It’s easy to get there: take the Yamanote Line train to the Nippori Town stop. When you exit the platform you’ll immediately see directions on the sidewalk and on signposts: you cross the street and bear slightly right, and you’re there. There are over 80 stores, and most are clustered on Nippori Chuo Dori and the cross-streets. There’s a great map available in English here. The stores range from dark and chaotic to very high end. Tomato is a no-miss store – in fact, it’s 5 stores all next to each other! As you walk up the street, you’ll find the upscale garment fabric Tomato first on the right, and then the upholstery store; on the left you have another three stores including the main, 5 storey building which is the gem! On the ground floor there are lots of novelty cotton and linen prints, as well as their famous “100 Yen” (about $0.80) wall which is great for bargain-hunters. On the other floors there are knits (including a wide range of terry and sweater knits), silks and novelty fabrics, and Japanese designers like Nani Iro and Kokka. You need to get your fabric cut and paid for separately on each level – look out for the marking on the floor which tells you where to wait and queue for an employee to come and cut your yardage. La Musee Buttons is a very cute vintage button store, modeled on a Parisian boutique. It’s a no-miss if you like unusual and cute buttons. Bunka Fashion College Bunka is Japan’s leading fashion school, and it has several stores and a museum which are open to the public. It’s located near Shinjuku station in an enormous skyscraper at 3-22-1, Yoyogi,Shibuya-ku,Tokyo ,151-8522 (map here). It’s open weekdays 9 – 5pm. There are three stores: for notions, fabric, and books. To reach them, enter the main lobby of Bunka, turn right and go down the stairs to the basement level. Continue through to the back of the building and you’ll come to the cafe – the shops are clustered around the edge. There are all kinds of fantastic things to buy, from high quality menswear wools to the famous Bunka mannequins and rulers. It’s also fun to watch the fashion students! Okadaya Another wonderful multi-storey fabric and craft store, in Shinjuku. There are two buildings: one for fabric, and one for all other crafts. This store is particularly great for sweater and quilted knits, novelty fabrics and special occasion fabrics. The address is 3-23-17 Shinjuku, Shinjuku-ku, Tokyo, and it’s right behind Shinjuku station, just north of the Lumine Est northern entrance (map here). The entrance to the fabric store is hidden in an alley, so be persistent! 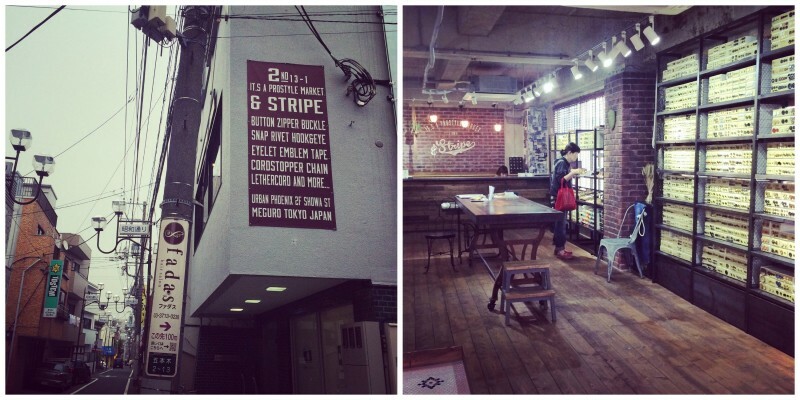 Stripe is a super cool button store hidden on a side street near Yutenji station. It’s pretty hipster, and features thousands of really unusual buttons, some made in-house and some imported. They’re famous for their five-holed buttons which can be attached in a star formation, as an anchor, and many other ways! They also have antique-effect zips, cords and more. 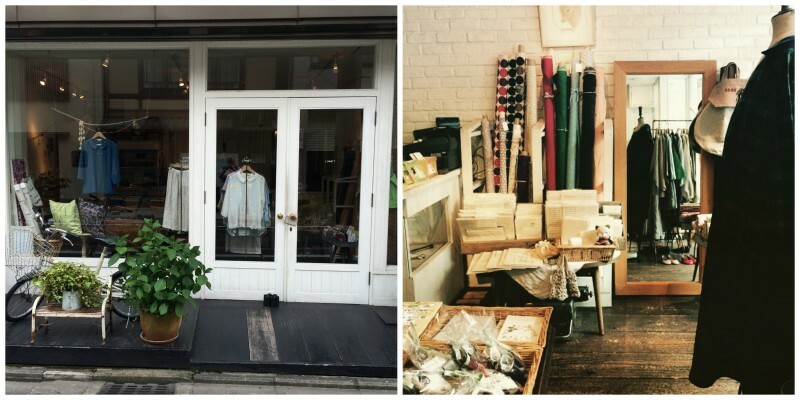 If you’re interested in crafts beyond sewing and knitting, or you’re interested in exploring other less well-known stores and neighbourhoods, check out the Tokyo Craft Guide, written by Miss Matatabi. There’s free info on Nippori Town and Shibuya, and a downloadable eBook to other areas which is well worth the investment. 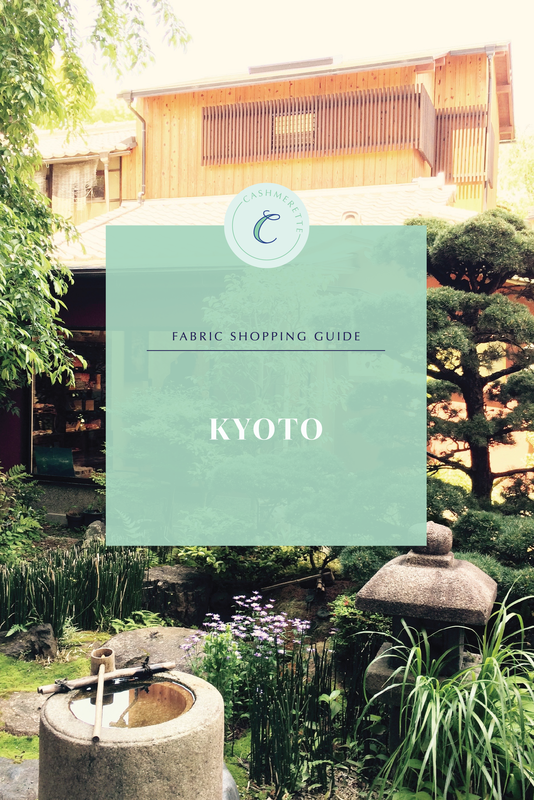 All the stores mentioned below are within a square mile of each other, making a shopping day or afternoon very achievable in Kyoto. Nomura Tailor There are two locations of this iconic Kyoto fabric store, just around the corner from each other in the central shopping district of Kyoto’s left bank. It’s definitely worth visiting both as the stock is different. Nomura Tailor (main store) is located on the main Shijo Dori st, between Fuyacho Dori and Gokomachi Dori. It’s 3 floors of wonderful fabrics from interesting laces to knits, Nani Iro, Kokka, and the ever present novelty cottons. 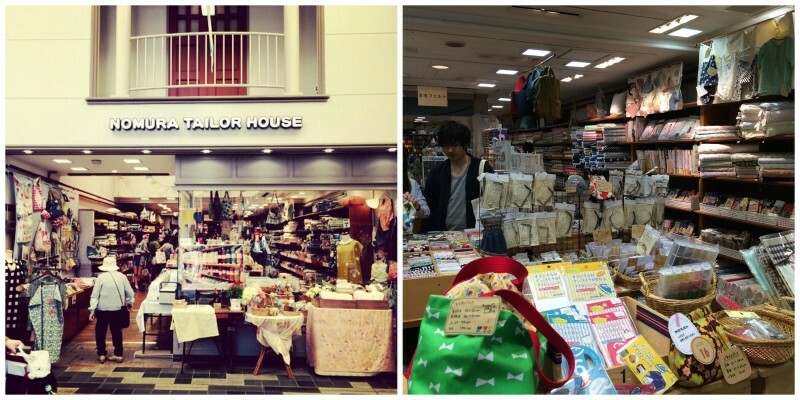 The top floor has a wide range of notions and other crafting products.Nomura Tailor House (smaller store) is located in the shopping arcade on Teramachi St (about halfway up on the left hand side). This store is more craftsy, with a lot of quilting cottons and bundled fat quarters, and supplies for needle felting and bag making. Linnet Cute store specializing in linen. It has a small selection of bolts of solid linens, together with it’s own range of garment patterns and some fun notions. It’s on 562 Aneyakoji Dori, by Tominokoji Dori. Misuyabari Needle Store This is a hidden 400 year old store in a shopping mall! It makes exquisite hand-made needles, decorative pins (with tiny animals and plants on them! ), needle boxes and more. It’s pretty hard to find but it isn’t impossible. It’s located in the Shinkyogoku covered mall, just off Shijo Dori. Go the end of the covered arcade and you’ll hit a T-junction. Go right, and look for the pink shop on the left – just to the right is a corridor that you go down and into a courtyard where you’ll see the store (note the Google Maps pin has it on the wrong side of the arcade). 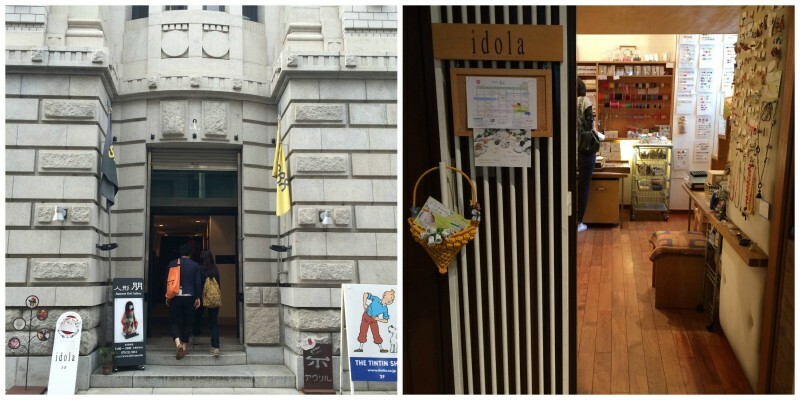 Idola Tucked away in a beautiful old building are two miniature stores, selling vintage buttons and beads. Beautifully curated, mostly European wares (and right next to Avril – below). It’s located on the third floor of the western-style building at the corner of Sanjo Dori andTominokoji Dori. Habu Textiles A small, curated store predominantly focused on very high end yarn (mostly merino), with a few bolts of selected linen fabrics. They also sell a small range of ready-to-wear clothes in the loose linen Japanese style. It’s located on Gokomachi Dori, between Oike Dori and Aneyakoji Dori. Look for the wooden sign and head up the stairs. Avril This is a stunning yarn store with high quality yarn from floor to ceiling! They have workshops in knitting, weaving and felting. Located next to Idola on Sanjo Dori at the junction with Tominokoji Dori, on the third floor. There are plenty of very cool boutiques and cafes around this area, so you’ll have an amazing day! Let me know in the comments if you have any questions. Do you know any other “no-miss” fabric and yarn stores in Japan that folks should add to their lists? 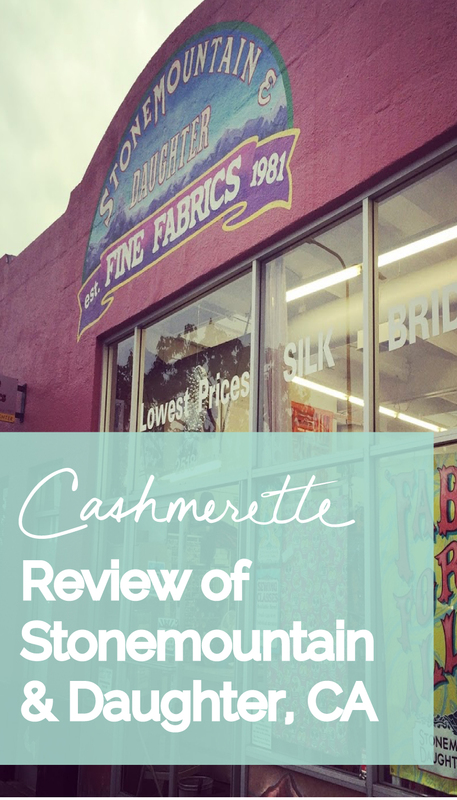 Want to get the latest news on curvy sewing, fun fabric shopping trips, and exclusive offers on Cashmerette Patterns to your inbox? Then sign up for the Cashmerette newsletter! 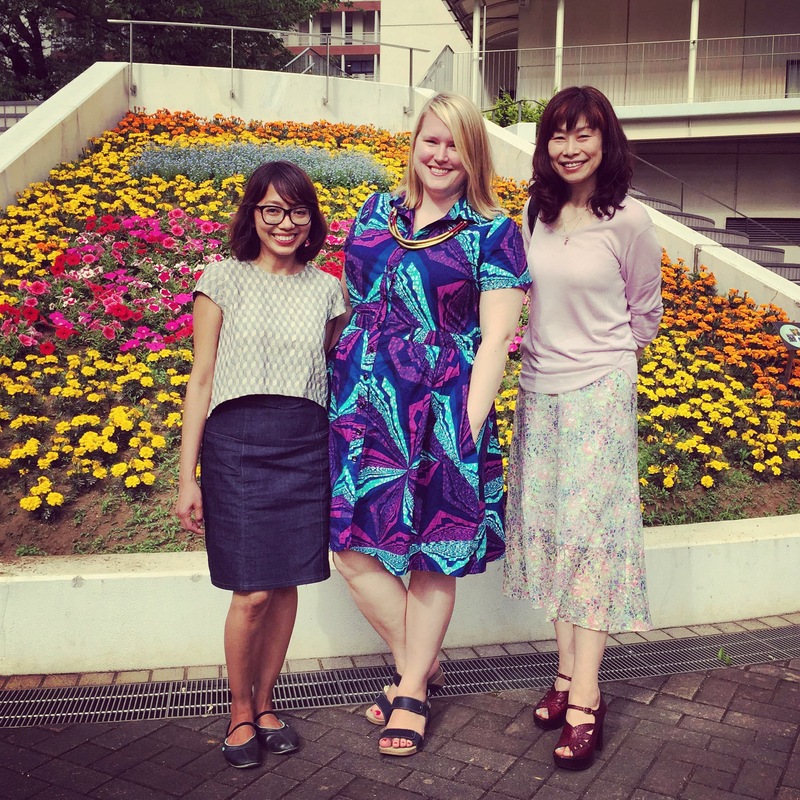 Fabric, Bunka and Bloggers in Tokyo! Now I NEED to go to Japan. I am hete in Kyoto now…thanks for the info! 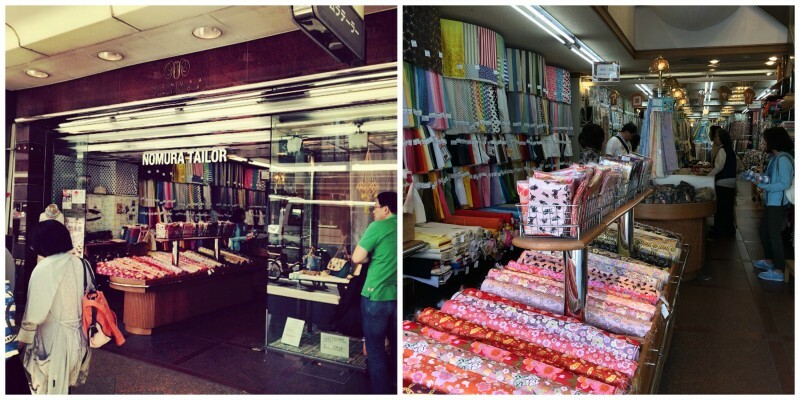 Is is crazy that I am trying to convince my husband that we need to go to Japan just to fabric shop? I’ve been once, but it was pre-sewing days, and I loved it! 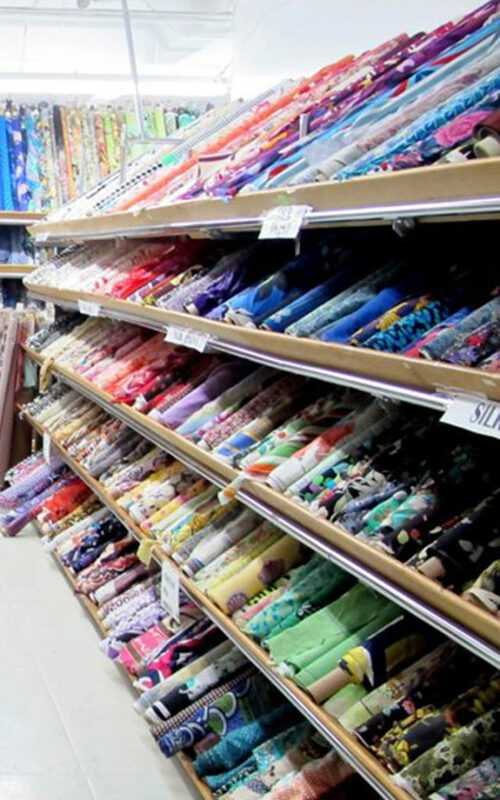 I can’t imagine how much more I would love it if I get to go fabric shopping too! Thanks for the tips – I loved following along on your trip with you on Instagram! Wow! Thank you. I read your original posts, but this is particularly helpful. Japan is on of my top 3 travel locations, and I’ll take your info with me! Thanks again. You’re welcome! I hope you get the chance to visit soon! Bookmarked for my next trip (hopefully this time next year) and not looking til then as I’ll die of envy. Thanks! Woo hoo! Spring is an awesome time to visit though it can be warmer than you expect so pack… Diversely! Yes, last trip in October we had glorious heat and torrential rain… i are prepared. So jel of your fabric shopping in Japan. I just went to Tokyo with my husband, but for some reason I just wasn’t in the mood. Next time, next time. And now, thanks to your posts, I’ll know exactly where to go! I’ve bookmarked this for later! We have a trip to Japan planned for next year and I can’t wait, we’ll be mostly staying in Okayama with hopefully a day trip to Tokyo. A couple of questions – I speak very little Japanese – did you have much trouble getting around? Are most of the signs also in English? Also, I’ve read some stories about size discrimination/tiny seats/beds etc. Did you have any issues? We have our head of style in karate visit Australia every year and I have always found them so polite and in some ways less size discriminatory than your average Aussie! But I have to admit I am a bit worried. Any thoughts/impressions would be fantastic – we will probably stand out enough being a bunch of westerners plus there are a few of us who are highly tattooed (mine are easier to cover up than a couple others) but I would like to blend into the culture as much as possible. Hiya! So no trouble getting around because almost all signs are in English, and transportation is entirely in English. I can’t say I noticed any size discrimination – not only were there plus size Japanese women but there are fashion magazines, clothing stores etc. On one day I went to a naked onsen (!) and I can honestly say no one stared. The one thing that may be more of an issue is actually the tattoos – at our hotel spa and at the onsen they prohibited anyone with tattoos from using the pool or spa or walking around with them exposed, so just bear that in mind. I made the mistake of googling/reading the internet about visiting Japan as a fat person and some of the stories had me seriously worried – thanks for the reassurance! Also, sorry for many comments, but some onsen are fine with tattoos so just do a little research and you might be able to find one that doesn’t prohibit it. In my experience, the only reason people stare is because you aren’t Japanese. I lived there for four years and even in a metropolitan place like Tokyo, they aren’t used to non-Japanese. I wouldn’t say there’s intentional size discrimination but things tend to be cramped everywhere you go simply because of the size of stores or restaurants. Tables are closer together, etc but no one was ever rude to me based on that. You can also get money from post office ATMs with minimal fees. I did this once for a whole year and it worked just fine. Just look for the orange and white 〒! OMG! Japan wasn’t on my travel list until I saw this post! The fabric stores are incredible! Thanks for the inspiration….. 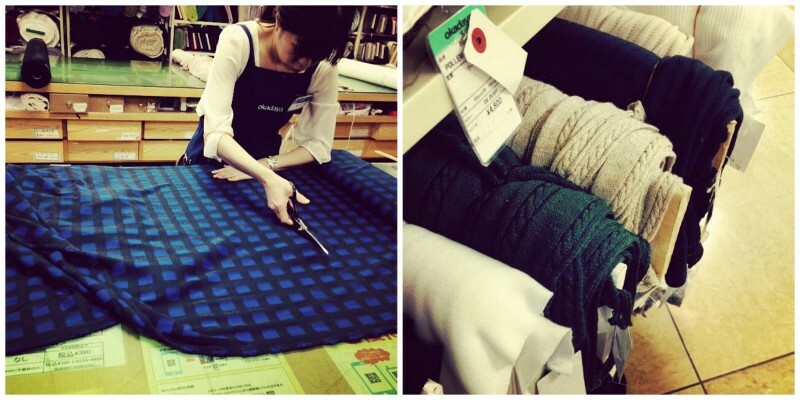 Thanks so much for this detailed tour of fabric shops in Japan. I found this via google as I am scoping a trip to Japan and it is unbeleivably useful. Plus I am delighted to have found your blog which is giving me inspiration. Thanks so much for your detailed write up and map! We are leaving for Kyoto tomorrow and I was just trying to put together a fabric store itenerary. Looks like you’ve done all the work for me! I live the descriptions of the shops. I can’t wait to visit that secret needle shop! 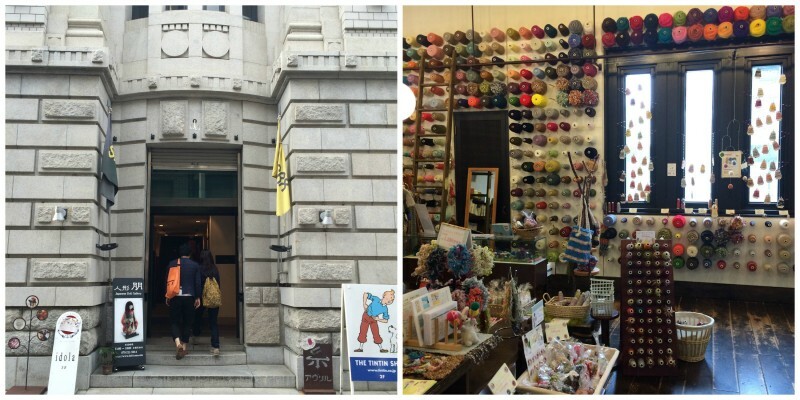 Thank you so much for sharing your experiense with quiltshopping in Japan. I’m a Norwegian quilter and I’m going with my family to Sapporo and Kyoto in february next year. The information was very useful and I look forward to visit the shops. Thank you! Very happy to have found this. I’m leaving tomorrow for a month in Japan. So excited! Oooooh I’m so jealous! Have a blast! 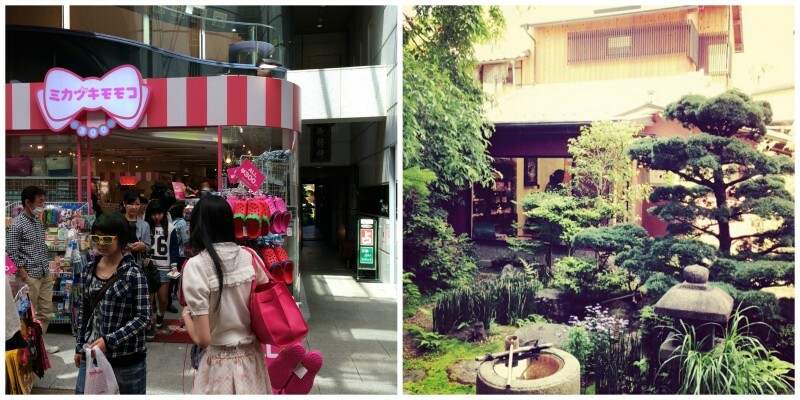 I live here in Kyoto and I love shopping at these places. Please contact me and I will be happy to guide you around! Thank you! You directions were excellent and we were able to find the shops today in Kyoto. Hi Jenny. Thank you for your time to answer and for doing what you are doing. Would you please advise me – I’m looking for a really high end silk velvet, cut velvet, brocade… Will going to Nippori textile town will be a waste of time? Oh and would you know where I can find tassels perhaps? Thank you very much in advance! There are some high end stores there especially early on the street (at the station end) though they aren’t big so no guarantees they would have that. There are upholstery stores so tassels is possible! Hi! Thank you for the great amount of effort you have put in to his blog and for sharing all this valuable information. I have been in Japan 10 years back and we saw bridges, bridges and bridges as my husband was gathering info for his articles. So now it is going to be my turn and it is going to be with lots of shopping for fabrics and sewing accessories. I am particularly interested in ultra thin interfacing fabrics both fusible and non-fusible – what are they called in Japanese? Can you recommend some trademarks. It will be of great help if you include the Japanese names of the items you mention. Thank you. Joy, Denmark. fusible interfacing is written as 接着芯（setchyaku-shin) in Japanese. Thanks for this information. Off to Japan next Sunday. Went a couple of years ago and it was amazing. Have added a few new locations to list after reading this. Hi Jenny, Thank you for this post! 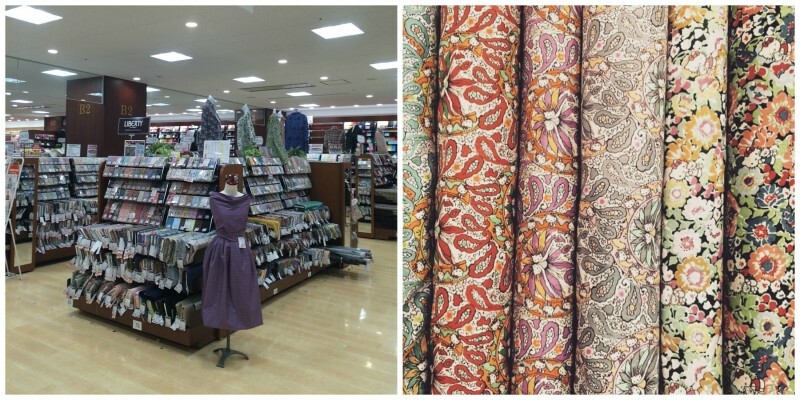 I am heading to Japan in a few weeks time, and have been looking for info on fabric shopping in Tokyo! Yay, excited now! I also really like the hobby-ra hobby-re chain- their sashiko designs are very cute. The Kyoto takashimaya (about two blocks from the bridge to Gion) has one branch of this on their housewares floor (I think it is floor 5) as well as another craft store. The Nanba/Namba (spelling varies) Parks shopping development also has a takashimaya with a hobby-ra hobby-re brand on the 7th floor. Also on that floor is a kimono shop that sells second hand kimonos, including some for1000 yen. I am headed back to Tokyo in April, and am looking forward to some shopping! 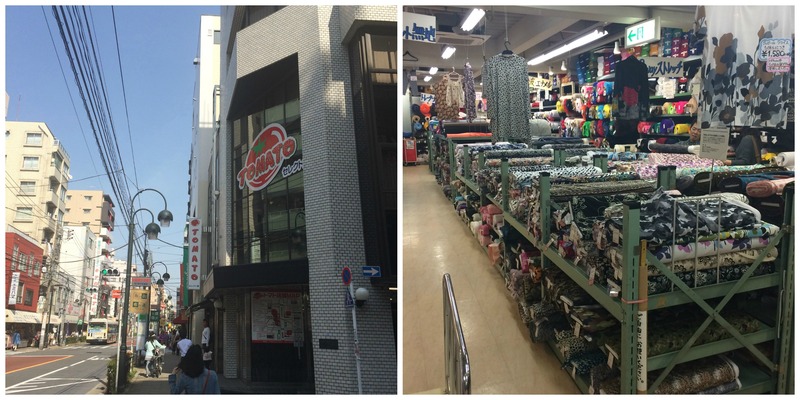 Where do you reckon I would have the best chance in Tokyo to find Hello Kitty fabrics? I have seen plenty online at places like Ratuken and modes4u but I would like to be able to feel before buying. I am travelling there next week. Thanks. do you know of any scrap places I migfht find pieces of indigo..work clothes..etc..in Tokyo? I am going to Tokyo this month. Was not sure where to find Japanese cotton in Tokyo until I find your blog. Cotton hunting will definitely be in my itinerary. Thank you. Thank you so much for your post. First time in Japan and went today to Nippori… love at first sight and bought way too much fabric to bring back home 🙂 So many choices and all great quality. I loved Tomato but also Nagato and Momo..
Hi, does the fabric sell in yard ? I just visited Okadaya fabric store. I’m speechless, the place was amazing! I vould have spent the whole day in there! Yuzawaya in the Takishamaya shopping centre in Shinjuku is now permanently closed. Jenny if you go to Japan a year from now can I come with ( of course I’ll pay my own way)? I’ve never been out of the United States so it scary for me but I’de love to shop for fabric and yarn🤗. Hi Jenny! Thank you for creating this guide. I’m going to Tokyo next month and your recommendations will definitely come in handy. I’m curious if you know/remember if any of the stores you visited had a sustainable fabric section? 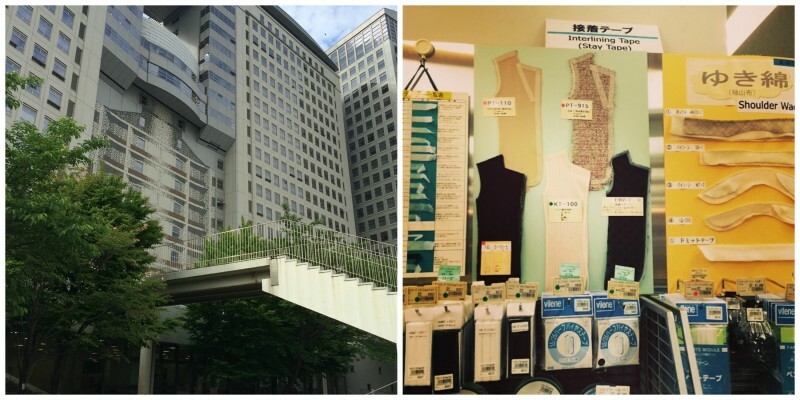 Just FYI, most of the fabrics of Shinjuku Okadaya are now located on floors 4 and 5 of the Shinjuku Alta building just around the corner. I went on a Saturday and it didn’t open until 11am. There are only 2 floors for fabric in the original building in the lane way and the fabrics look like suiting and tweed. Initially I was very disappointed as I was expecting floors of fabric as per yours and other websites. After some amusing sign language exchanges with a staff member, I discovered this other section in the Alta building which houses the Japanese style fabrics (plus other) I was searching for. The Liberty fabrics are also located there. I also visited the Tomato store in Nippori, loved it but there is a 1m minimum. The Okadaya store had a 10cm minimum. Anyway, just thought you may want to update your website. I visited September 2018. Hi! I enjoyed reading your post! thanks for this very useful blog. Do you know where I might find traditional woven indigo fabrics?